Thomas was a successful entrepreneur and he sold Como Villa in 1874 and moved to Dunedin to run a hotel. The property was bought and sold over the years and after World War II the stone house became a packing shed when a new house was built. Current owners Johnny and Pam Chapman bought Como Villa in 1982 and initially the stone house was used as a workshop and shed. A fortuitous accident while working on a tractor led to finding the wine cellar, this combined with Alexandra’s ideal climate for grapes led the Chapman’s to switch from deer farming to grape growing. 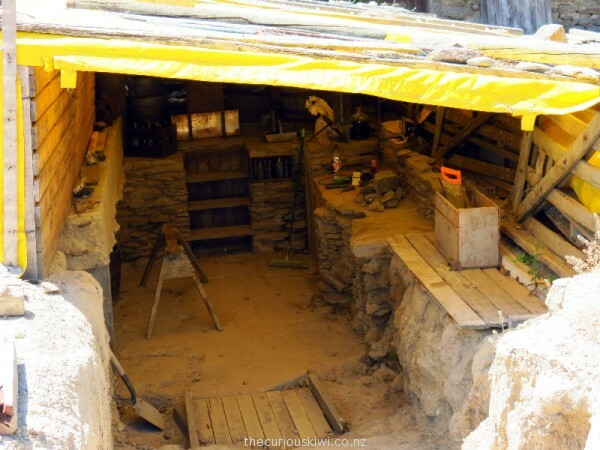 When we visited on a sizzling summers day Johnny was doing stone work in the cellar. We were all relieved to get out of the heat and inside the stone house. 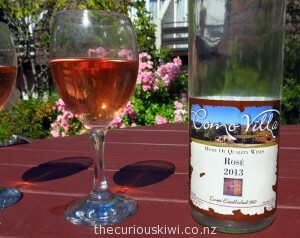 Johnny told us all about Como Villa’s history while we sampled the Chardonnay, Pinot Gris and Rosé, it was the Rosé that we chose to take back to Dunedin to toast the New Year. 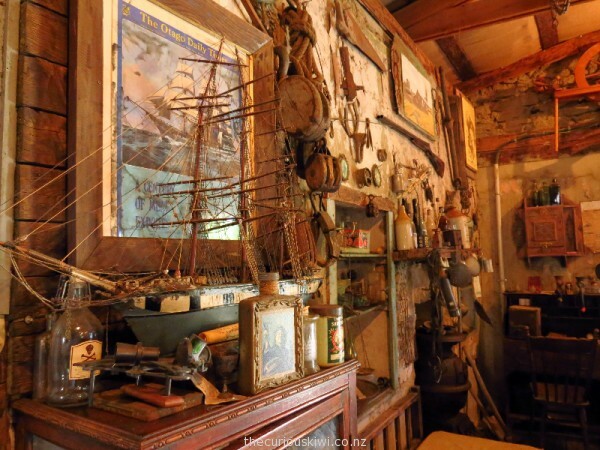 The stone house is full of all sorts of historical bits and pieces, some found onsite, others purchased to fit the character of the property. There’s a model of the ship ‘Dunedin’, the Dunedin was converted from carrying passengers to carcasses in 1881. The ship delivered the first ever load of frozen meat from Port Chalmers to London in 1882, a voyage that took 98 days. The model of Dunedin was built on board its namesake, I guess model building is one way to keep yourself busy for all those days at sea. A few pages of the Otago Witness newspaper dated 20/11/1869 were found in the walls of the house during restoration. Some parts of the paper are still readable – there are ads for telescopes and glasses, and news from ‘The North’ mentioned securing land with co-operation of Waikato tribes was likely. (Add over 120 years, a formal apology was given and a Deed of Settlement signed in 1995 to try and redress grievances over land issues dating back to the 1860’s). 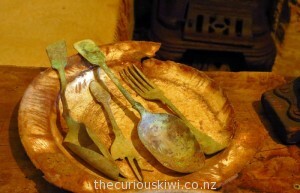 Items that reminded us that the house was once a home were the time worn plate and cutlery, it felt really intimate seeing personal items of those who had been at Como Villa long before us. Another reminder was the remains of floral wallpaper on the walls. A few years ago we walked around the stone buildings near Bendigo and I was surprised to read that some of the houses on the goldfields were decorated with wallpaper from Paris and London. I’m not sure the wallpaper is original, but it’s definitely old. 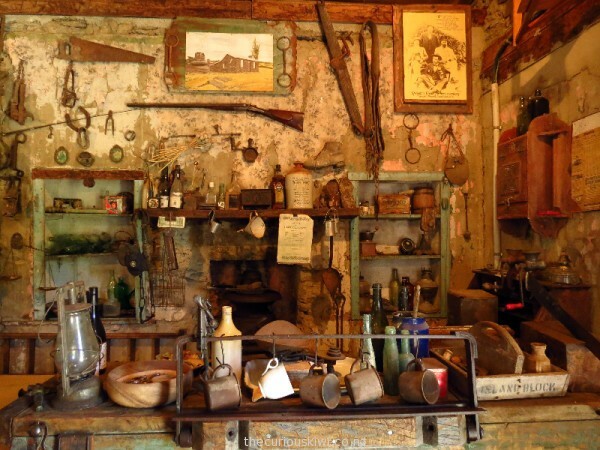 When Como Villa was sold in 1874 the house had six rooms plus outbuildings including a stable and the wine cellar, it would have been one of the biggest houses on the goldfields. 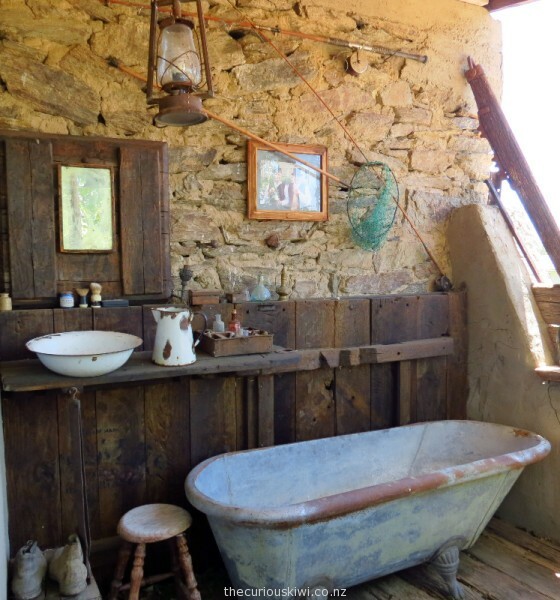 I don’t know what the bathroom would have looked like, but a neat outdoor bathroom has been created. 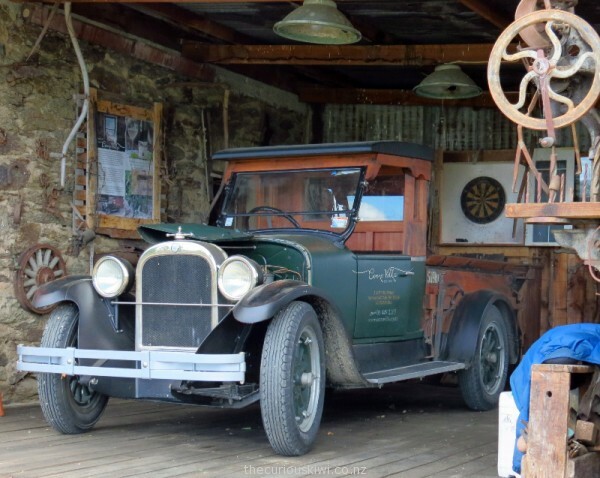 Another treasure on the property is the work truck – a rare 1923 Dodge 108 in lovely condition. If Thomas Oliver could see the property today I know he’d be keen to raise a toast with a glass of Como Villa wine to the Chapmans for all they’ve done to preserve part of his and Central Otago’s history. Como Villa Estate is at 266 Earnscleugh Road, Alexandra. There is a small charge for wine tastings. The cellar door is open 7 days in summer from 11am-5pm, autumn/winter weekends only or by appointment. 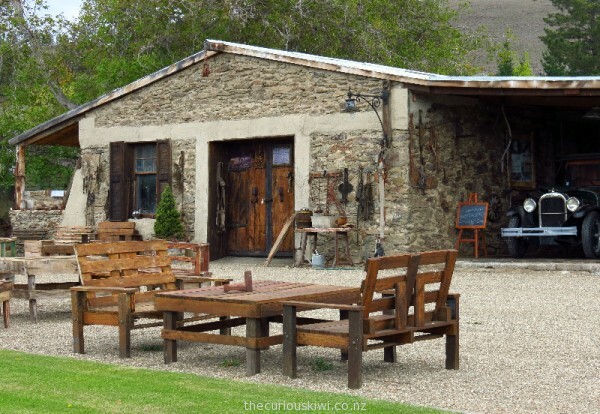 This entry was posted in Central Otago/Queenstown, Eats & Drinks, Unusual New Zealand and tagged Central Otago, Como Villa Estate Vineyard, NZ wine by thecuriouskiwi. Bookmark the permalink.